Poll: What game modes would you like to see in Grip? Re: Poll: What game modes would you like to see in Grip? I totally upvote this one, as this was the first to hit me when I read the arcade mode to only be one race. Also there could be a number of pre made cups to compete, which could follow some theme, like all the tracks on one planet, or tracks that are speedy, offroady, lots of hills, etc etc. But the ability to compose a custom cup of the users choice is ofcourse also just as desireable. With "subsonic" i think you guys mean "supersonic" which means faster than the speed of sound? subsonic means slower than the speed of sound (super means above, sub means beneath (like submarine, beneath the water), and sonic is sound). I am a subsonic human ! Oh wait, everyone is ? damn.. I liked Scramble in the old Rollcage Stage 2.... Scramble would be great to have in Grip. Career mode will have a variety of races, including tournaments, big and small, so we've got you covered there. I got an idea, a Beast mode. What about a mode where one player is overpowered (Beast), like driving a train or 18 wheeler long vehicle. Other players try to destroy him, like Ants or something, but of course, it's crazy hard. The Beast takes up a lot of space, you have to jump over him, drive on the ceiling in the tunnels, very risky stuff. Similar to mechanics in Split/Second, there was one mode where you were overtaking huge 18 wheelers, while they were dropping bombs on you. There could be even some competition between the other players, to get the highest score = to not get killed, to survive for longest time, to cause the most damage to the Beast, etc. A little bit similar concept is in Evolve, 4 players going against one monster. So, the Beast mode would motivate players to cooperate against the Beast, but they will be given points based on individual performance. However, if they destroy the Beast, they will get much more points, so cooperation would be rewarded as well. Don't talk about split/second, im so sad there wont be a second one..
0Blueaura wrote: Don't talk about split/second, im so sad there wont be a second one.. But split/second was already the second game. i mean split/second. Ok, bad jokes away. Split/second was a great game, i completed it on 100% and it was worth it. The beast mode would be intresting, but nothing with high priority. I dont see so much replay fun of the mode, which would it make worth. I would rather like to have some more maps or cars (skins) instead. But that goes for every new mode. well, I have both Blur and Split/Second and play it occassionaly with my pals when they come over. both are great fun, but I prefer Blur, thanks to 4-player split screen and simpler mechanics (don't have to explain everytime how the explosions work, how you earn the power, etc.). Blur 2 was already planned and some features were in the works, when Activision shut down Bizarre Creations. here is a leaked video from the sequel - sh*tty quality, but you can see more advanced weather, particle effects, and... driving on the walls! I think the Beast mode would run okay on normal maps, just add the long vehicle (could be just few normal Grip cars tied together, as a train) and make it overpowered. dunno about the replay value, but maybe a cool mode for the community. 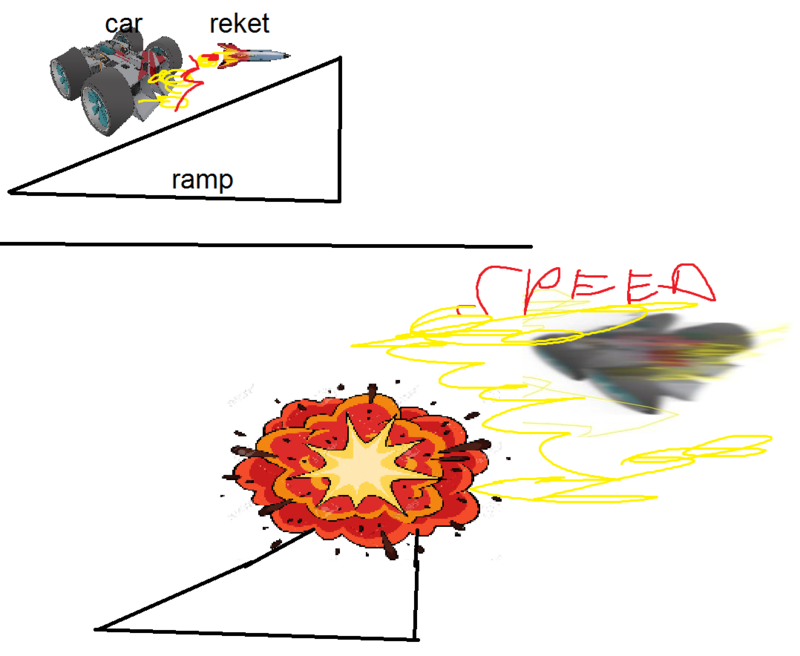 I believe the physics would be the hardest to implement. We have to find Ambitious people again, like Chris and Rob that would like to create a "sequel" to blur or split/second. 0Blueaura wrote: We have to find Ambitious people again, like Chris and Rob that would like to create a "sequel" to blur or split/second. but, and there is always a but, gimme the money for development! hell yeah. suddenly, one of the racers blows up! I'd like to see a free roaming mode where we can test cars and tunings without the need to sacrifice races. Just a massive area of different topography and surface types to muck about on. Could also be fun to see if you can do crazy tricks so you could have points for air time and flips as well as time spent on ceilings etc. A large practice arena with ramps, loopings, all different sorts of terrain (rocky, gravel, streets, sand, ice). Wanna test a car's handling? There's the perfect spot. I love the idea of it being random and no one knowing who is going to explode. Hot potato could definitely work well in Arena mode, but race mode may not be very impactful since cars stretch out along the course and are less likely to be close to each other. Roq wrote: I'd like to see a free roaming mode where we can test cars and tunings without the need to sacrifice races. Just a massive area of different topography and surface types to muck about on. Could also be fun to see if you can do crazy tricks so you could have points for air time and flips as well as time spent on ceilings etc. Broscar wrote: I like Roq's idea. I would like to have a free-roam mode of ALL THE TRACKS FROM A SINGLE PLANET put together, for practice/exploration. Like nfs the run "sprint"
EDIT: actually, maybe there could be a "survive" game mode out of it, like, 10 to 20 players on a track, driving from one point of planet to the other one (all the tracks from the planet in one) where each "finish" of the single track is a checkpoint which gives 2 power ups to use until next checkpoint is reached (which is another "finish line" of another "section of the planet" track), and each checkpoint gives lower limit of cars so that the rest behind is eliminated and at the last section max cars that can drive through is 5.
last 3 players alive are the winners, and the 1st one, given the most points and money.